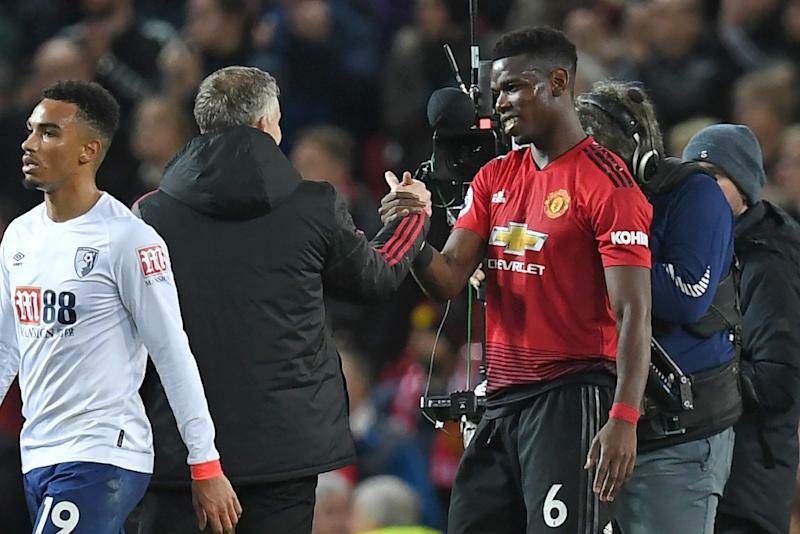 Paul Pogba hopes Ole Gunnar Solskjaer is given the Manchester United manager’s job on a permanent basis after the Norwegian turned the club’s fortunes around. The former United striker has transformed the mood and results at Old Trafford, leading the club into the Champions League quarter-finals and lifting them into contention for a top-four finish in the Premier League. When Solskjaer was given the role following the departure of Jose Mourinho in December, it was widely assumed he was merely keeping the seat warm for a bigger managerial name. But his success has led to a clamour for the appointment to be made fulltime, and midfielder Pogba has now added his voice. “Of course we want him to stay,” the France midfielder told reporters. “The results have been great. I have a great relationship with him; he has a great relationship with the players.“When a player is happy, he wants to keep being happy. Solskjaer deserves it. He knows the club, he knows everything about the club. It is a striking contrast to the final months of Mourinho’s reign, with Pogba the player who was repeatedly claimed to be at odds with the Portuguese. He declined to elaborate, saying only: “Maybe we lost confidence, maybe things went wrong. A lot of talking outside that we weren’t used to. “I don’t like to talk about the past. I like to talk about the future, because that’s what matters. We are better now, and the results have been brilliant.” Despite their good run, United were beaten by Wolves in the FA Cup quarter-finals on Saturday, a week after losing to Arsenal in the Premier League – the only two domestic defeats since Solskjaer replaced Mourinho in December.